We are delighted that Lynne Edwards will be coming to see us, from her Ipswich home to teach two workshops on Wednesday February 1st and Thursday February 2nd. 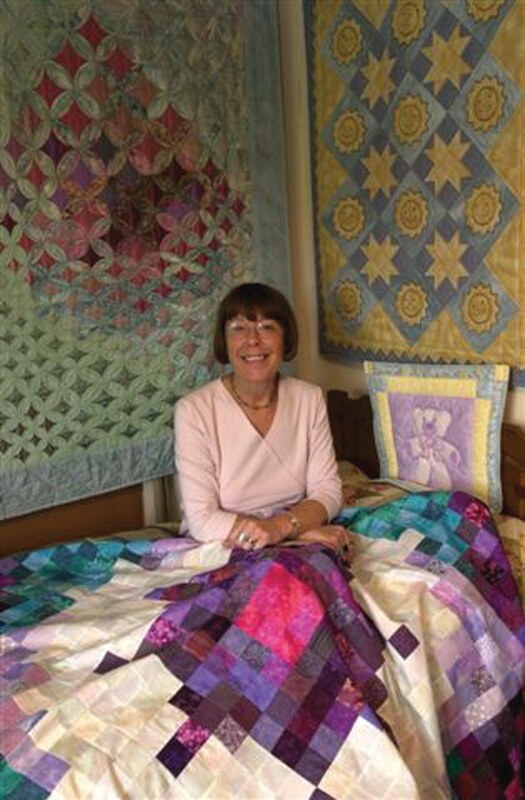 Lynne is an internationally known quilt designer, teacher and author and has taught at Busy Bees before. 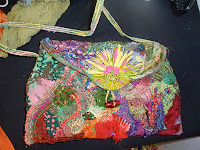 Her classes are great fun to do and have been very popular. We had so many people on the waiting list that we asked Lynne to do another day. At the workshops she will be teaching her class 'Tumbling Triangles' . To keep her students extra busy, at the end of the day Lynne will also be demonstrating and giving a worksheet for another of her blocks called 'Floating Star'. I'm sure everyone that attends will have a lovely day. has a waiting list, we hope we will be able to find a new date with Sheila so that all the people that would like to come to her class can come. If you are interested contact the shop and have your name added to the waiting list. If you would like to learn rotary cutting techniques, Marianne has a few places left on her four lesson half day course, starting on Wednesday February 15th. The course is called 'Welsh Medallion Baby Cot Quilt' and is held on February 15th, March 7th & 21st and April 4th. If you would like more details or would like to book onto the course, call the shop on 01633 810801.